Since 1971, email has been one, if not the most used internet-based form of communication. For this exhibition, we are questioning the ways in which we can communicate art through an instantaneous and extremely common source of communication. It is a democratic space where visual and non-visual narratives can occur. 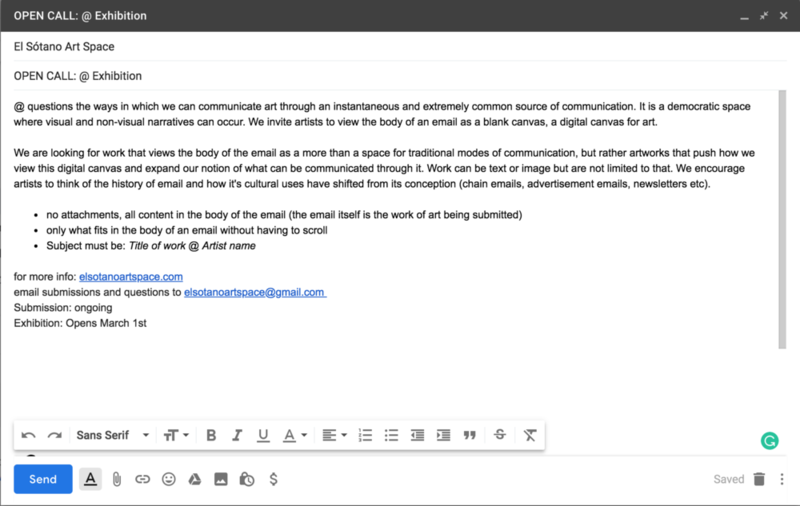 We invite artists to view the body of an email as a blank canvas, a digital canvas where art can exist.